Q: How many URL and Keywords can you use in one order? A: We allow Unlimited URL and Keyword per post. So you can provide us with all different keywords and URLs. Q: Are these real domain PBN sites ? A: Yes, These all are real PBN Domains. These are not Subdomains. A: Yes, all our sites are well indexed on Google. A: Yes, we provide a complete and detailed report of the links. A: Turnaround time is 2 to 4 working days. A: Yes we do. We use 100% unique well-spin articles with each post. A: Yes, we do. Please contact for more details. We will make the most reasonable quote for bulk orders. Furthermore, We provide huge favours like BULK discounts and rapid fire deliveries to re-sellers. If you still have any question, please feel free to contact us. 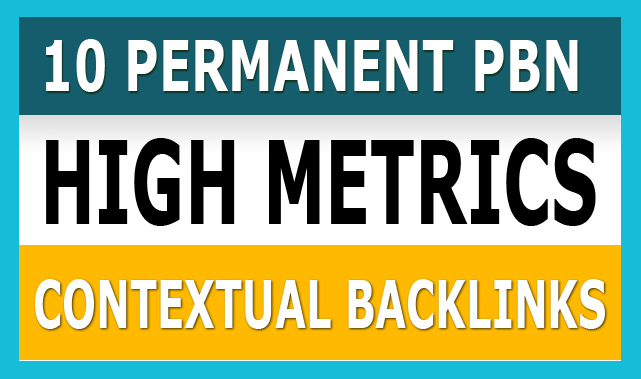 Create 10 Permanent PBN High Metrics Contextual Backlinks is ranked 5 out of 5. Based on 1013 user reviews.